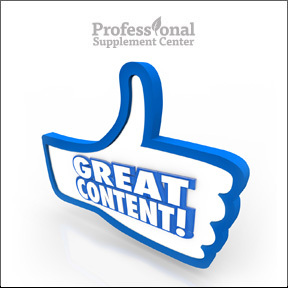 Professional Supplement Center would like to extend our appreciation to our many loyal customers who subscribe to Your Good Health Newsletter. We strive to provide content that educates and enlightens and we sincerely hope that you have found the articles to be unique, interesting and enjoyable. At Professional Supplement Center we believe that along with knowledge comes good health and our goal is to provide you with as much up to date information as possible to help you reach your own health and fitness goals. We hope you look forward to receiving our informative newsletter each week and that you will continue to enjoy the articles. At the same time, we are always open to hearing from you about any topics that you may find interesting. As we are gearing up for our fitness challenges in 2016, we thought we would provide a recap of our most read diet and fitness articles. Our entire team extends our best wishes for continued good health in 2016! To Improve Blood Pressure – Exercise!